Events around the world will mark the 400th anniversary of Shakespeare’s death in April. 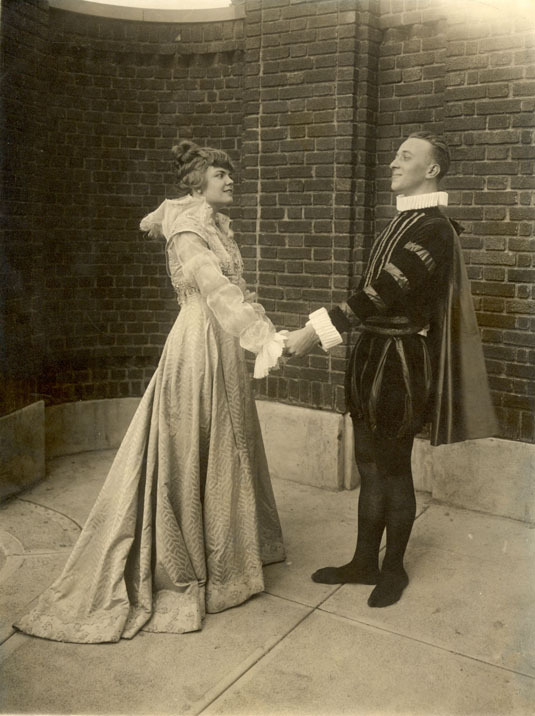 University of Cincinnati Libraries are showcasing UC’s rare Shakespeare collections and highlights of the UC Shakespeare Tercentenary a century ago. Cultural, creative and educational organizations around the world will kick off celebrations honoring the legacy of William Shakespeare as the world observes the 400th anniversary of his death, which was on April 23, 1616. 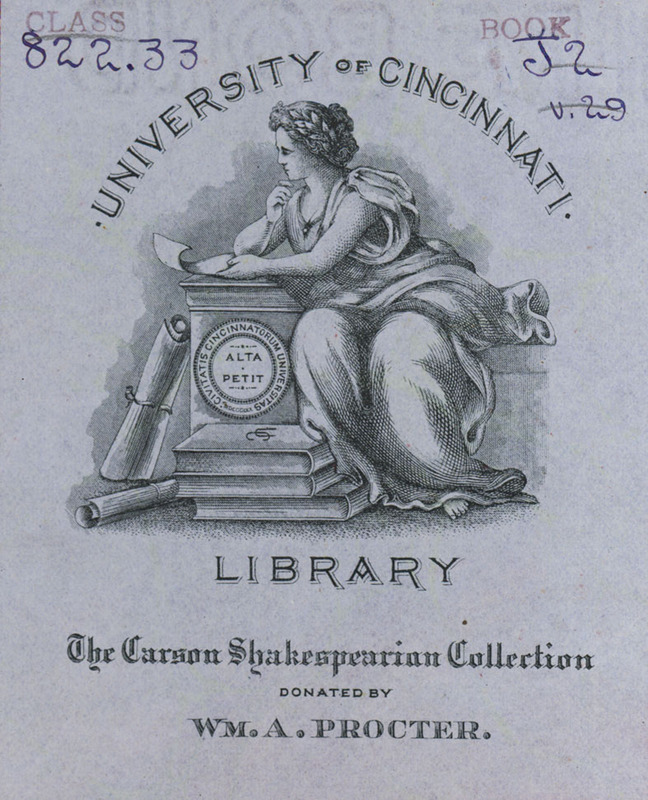 Here at the University of Cincinnati, the Archives & Rare Books Library’s Shakespeare collection is one of the university’s original library collections, purchased for the university back in the 1890s. The Enoch T. Carson collection holds more than 250 volumes. The collection has illustrations from editions of Shakespeare’s works along with pamphlets, clippings, excerpts, criticism, almanacs and various souvenirs that were collected by Carson. 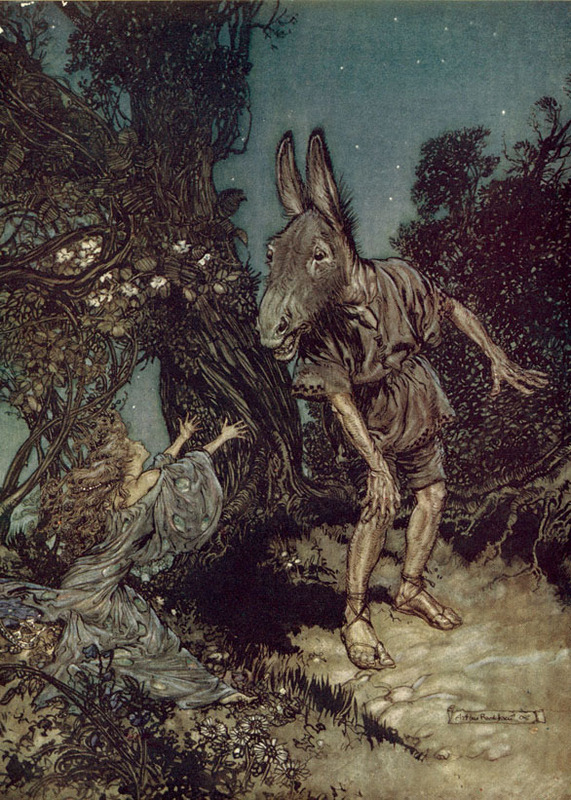 Over the past century, dozens of additional volumes have augmented that original collection, including rare editions illustrated by Edmund Dulac, Arthur Rackham, and W. Heath Robinson. Enoch Terry Carson (1822-1899), born in Cincinnati, held local and state public offices, and, he served as surveyor of the Port of Cincinnati under President Abraham Lincoln. Carson also was a Mason and became Grand Commander of the Knights Templar of Ohio in 1871. An avid reader and book collector, Carson died at the age of 77 in February 1899. His New York Times obituary called his library of English, French and German collection on freemasonry one of the largest in the world. 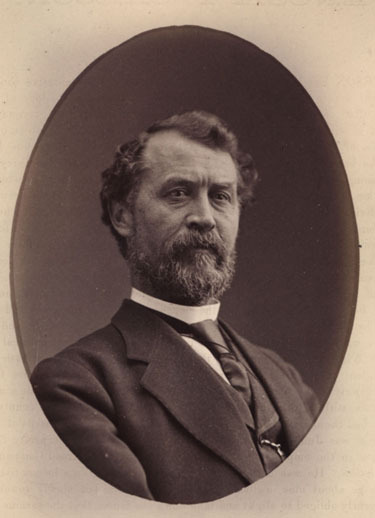 William A. Procter, the son of P&G’s founder, was a member of the UC Board of Directors when he purchased and donated the Enoch Carson Shakespeare Collection to the university in the 1890s. The collection is housed in the UC Libraries’ Rare Books Collection. Jonathan Kamholtz, a UC associate professor of English and comparative literature, says Shakespeare remains relevant today because he plays so well on the stage. “He was able to capture in words how humans think deeply, and not by making the words complicated. Shakespeare captured what was changing in cultural history as the 16th century became the 17th century. The website holds highlights of the Shakespeare collection as well as spectacular images of the UC celebration nearly a century ago. 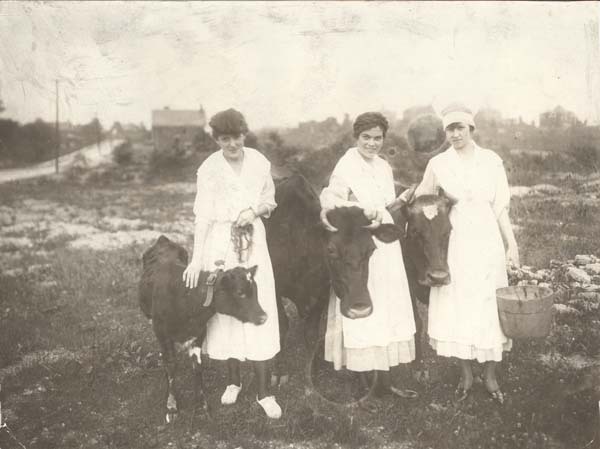 The materials in the Archives and Rare Books Library include a June 7, 1916 program highlighting a May Day Festival in Burnet Woods. A university committee chaired by UC President Charles William Dabney and vice chair Bertha Young, an assistant professor of English, led the planning. The University News also announced that the University Shakespeare Tercentenary Committee brought in Cecil Sharp, honorary director of the English Folk Dance Society and Stratford-on-Avon of Folk Song and Dance, to present two public lectures and teach four classes to prepare for the celebration. Sharp was doing similar work at educational institutions across the nation that were planning Shakespeare celebrations. 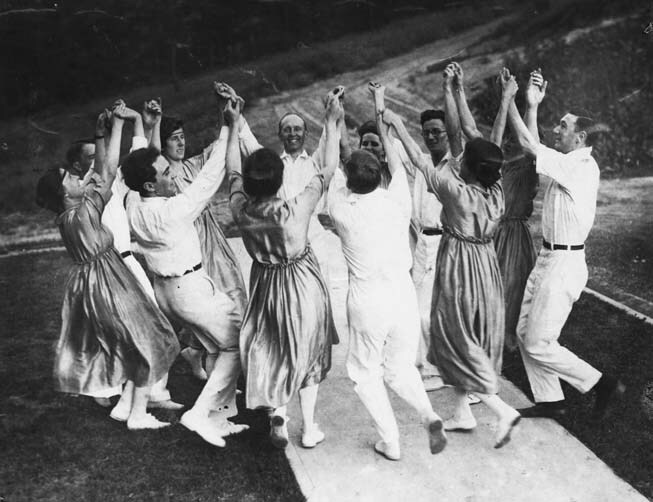 The March, 29, 1916 University News described how the university was planning a celebration in Burnet Woods to represent the sports, song, dance and pageant of Shakespeare’s day and that the Cecil Sharp visit was the first and preparatory feature. “The day will open with a spectacular procession from the university to the woods, made up of May Queen, the country dancers, chimney sweeps, Morris Men, the Shakespeare players and all the accompanying features of a spontaneous, frolicksome crowd,” reported the article. “It is not only Shakespeare, the genius of all times, that we are honoring. We are expressing our appreciation of the finer issues of life, the place of things to love, to admire, to hope for, in this work-a-day world,” wrote committee vice chair Bertha Young. Celebrations included a performance of Noah’s Flood, a medieval play with characters including stilt men, wrestlers and tumblers. There was also a performance of a Sword Dance, a traditional dance performed by eight men, and the Helston Furry Processional. The Furry Dance was a traditional dance out of Helston, a town in Cornwall. 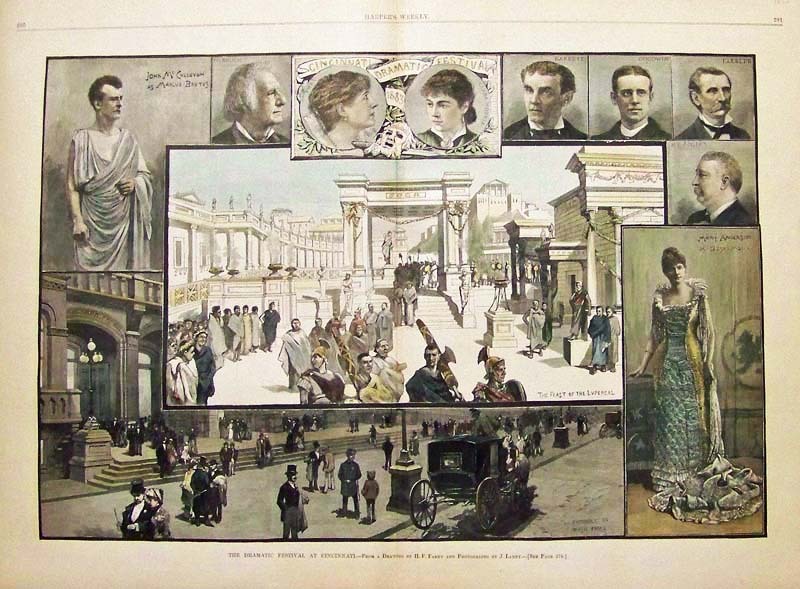 The elaborate UC celebration also included demonstrations of folk dances, a singing of folk songs on the steps of the library and a performance of the senior class play, “Much Ado About Nothing.” The play was performed in the university quadrangle and accompanied by musicians with the Cincinnati Symphony Orchestra. The music was funded by Mrs. Charles Phelps Taft. Also in the quadrangle was an Elizabethan Market featuring bread and cheese, sweet meats, sugar plums and entertainment featuring jugglers, wrestlers and tumblers. The website also is highlighting upcoming events around the city celebrating Shakespeare 400. 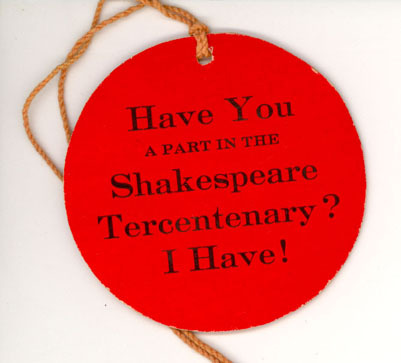 To learn more about UC’s Shakespeare holdings and the 400th anniversary, please visit the website at http://libapps.libraries.uc.edu/exhibits/shakespeare400/ or contact the Archives & Rare Books Library at archives@ucmail.uc.edu, or 513.556.1959. The Archives & Rare Books Library is located on the 8th Floor of Carl Blegen Library at the south end of campus between Teachers College and the Law School.